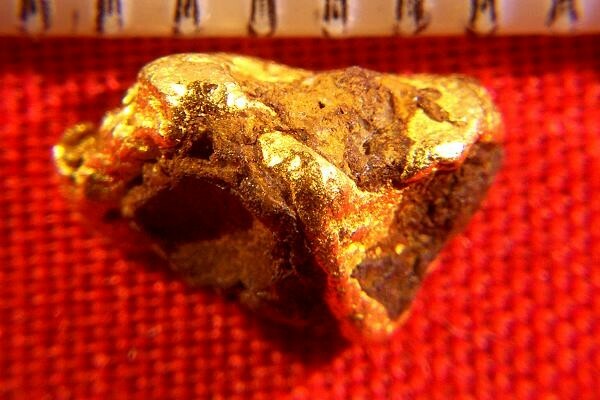 I normally don't buy or sell any common grade gold nuggets with mineralization or host rock, but this one somehow slipped through my hand selecting process. It has some very dark ironstone inclusions, which disqualifies it as a jewelry/investment grade nugget. Because it is not a jewelry/investment grade nugget, but is common grade, it is priced much less per gram than my hand selected jewelry/investment grade nuggets, at just 10% over spot. 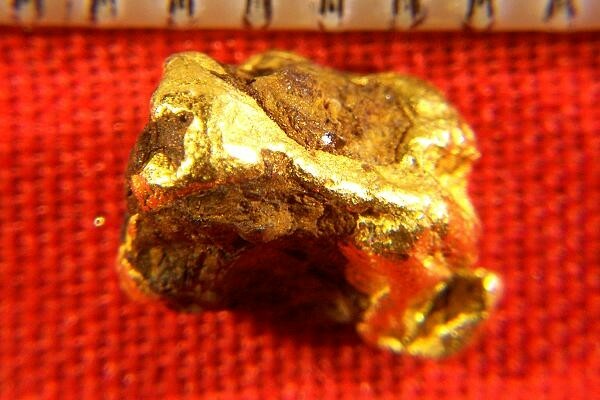 This Australian gold nugget is very fat and weighs 19.9 Grains (1.29 Grams) and the size is 3/8" (10 mm) long.